10-Piece Comforter Sets Just $71.97! Down From $360! PLUS FREE Shipping! You are here: Home / Instagram / 10-Piece Comforter Sets Just $71.97! Down From $360! PLUS FREE Shipping! 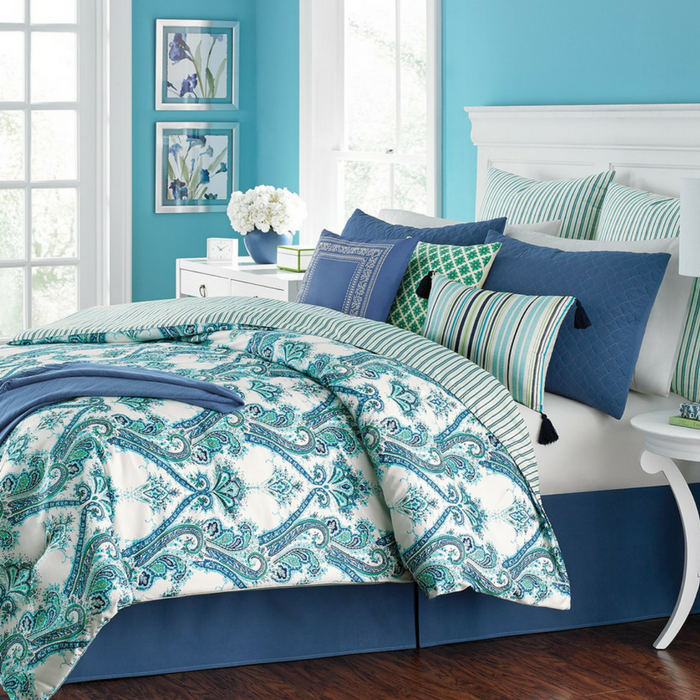 Create a crisp, refreshing centerpiece to complete your bedroom’s serene atmosphere with this Adana California king comforter set from Martha Stewart Collection, showcasing a white ground with a global paisley rendered in cool blue and green hues and a clean stripe pattern at the reverse.